We are a local family owned pizza shop. We are open for business all winter and summer season while the lifts and resort are open. We are located at the front of River Run Village in Keystone. All of our food, slices and pizzas included, are made fresh to order. Which means we serve you a better and fresh quality pizza every time. 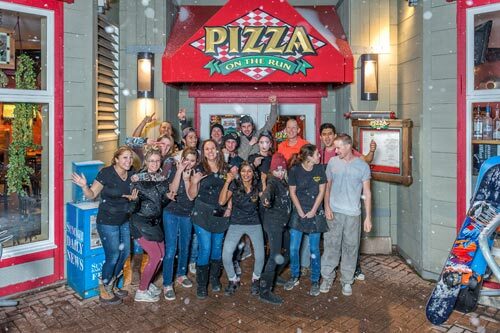 Come and enjoy our delicious pizzas, cold beer, tasty cocktails, friendly staff and then hit the mountain for some turns!